the address on the form. Please include $4.00 for shipping. All proceeds go to Chittenden Historical Society. 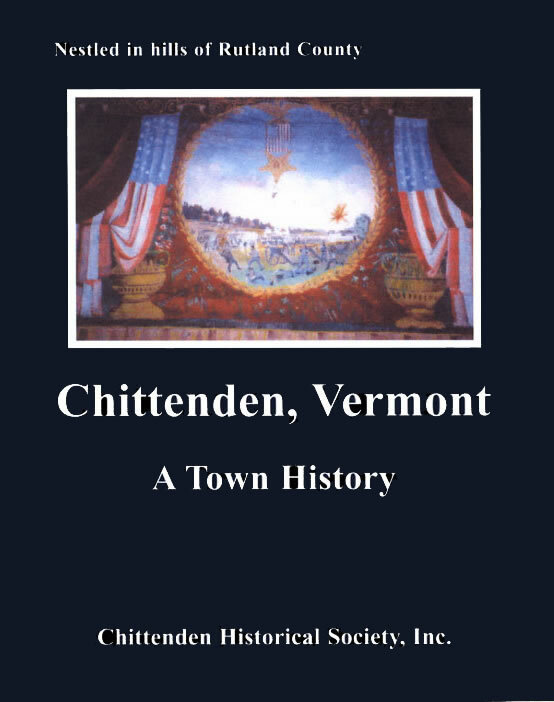 Written, compiled and edited by Fran Wheeler and Karen Webster, the new volume holds over 300 pages of town history from its beginning in 1780 and gives the early history, and the businesses, industry, military, school and church history that filled two and a quarter centuries. 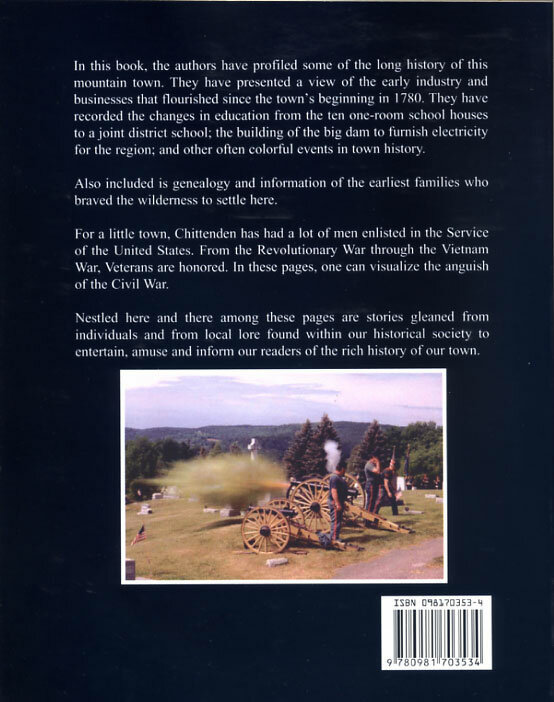 Genealogy of the earliest settlers is included.